The medium printmaking is one of the most society based media of the contemporary art practices. If you look at the history of the beginning of printmaking you see two main facts: first, the medium has always been multidisciplinary linked. It was related to the production of fashion, architecture, literature, painting. The second fact is that the medium printmaking caused a variety of radical social changes: on religious aspects, political aspects and also through printmaking art itself changed rapidly. This strength of the medium that caused these social changes lay in the profound characters of the medium: the capacity to multiply, to distribute and to participate in public area (the public character of printmaking). These strong contemporary characters were not always used in the practices of making print in the last twenty-thirty years. Even now artists see prints still as a ‘commercial’ artefact of their work and printmaking not as an autonomous art discipline. The medium has still not conceptually been explored as for example sculpture or painting. The possibilities to research on these conceptual elements in making prints are therefore one of the most interesting contemporary challenges for printmaking practices today. Even the ‘backgrounds’ of the different kind of technics are often ignored. The difference between making an lithography or a silkscreen, the idea behind the technics, the history , the image difference of the technics are not known by most artists. There exist a blind corner about the theoretical knowledge and conceptual possibilities about printmaking among artists. This fact is substantiated by the lack of existing theoretical discourse and reflections about printmaking in general. The digital revolution on the other hand can be seen as a constructive companion in the history of printmaking. It made the characteristic of the medium much more visible and profounding. Furthermore it showed how strong socially-based this medium is. The invention of printmaking brought the mobility of (the) image(s) and text to a never seen level. First in the 15th century, and now today across the digital world. The digital relationship with print made it also more accessible to make the connection with the manual technics for a lot of artists. They start to discover the less interesting part of the digital print: the image quality of a digital print is limited, the randomness of producing a digital print related to the fact that artists are limited in manipulating the image in the printing process and the fact that the artists subscribe the quality of the non-controlled traces which occur in the image when making a print through (manual) printmaking. Artists start to combine both worlds in their practices. The fact that both worlds are brought together makes the possibilities and the limitations of their production processes very clear and they seem to go well together. The big challenge of contemporary printmaking is making the conceptual possibilities of printmaking clear for each who wants to produce a print, to research on the possible concepts of reacting on social phenomenon’s through printmaking not by using the ‘old ideas’ of making editions, but to make ‘true printmaking’ based on the characters and qualities of the medium and through always asking why we want to use print in artistic creation. 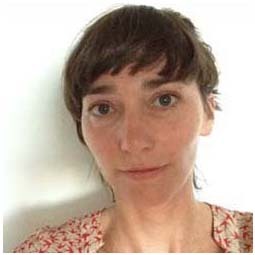 Since 2011 Sofie Dederen (°1976, B) is the director of the print art centre and residencies Frans Masereel Centrum. She started in 1999 as freelance projectmanager with Muziektheater Transparant (Antwerp) and graduated from Vrije Universiteit Brussel (B) as Master in Communication in 2000. During her education and after her graduation from the Kunsthochschule Berlin (D) as Diplomante Freie Kunsten in 2007, she curated the exhibitions: Ik zie ik zie… (Storm op Komst /vzw Festivalitis, De Warande, 2009), Man with the movie camera (vzw Open Doek – De Warande, 2009), and was involved in collaborations like Entree> Exit (Middelheim Museum, Antwerpen in collaboration with bolwerK, 2010), Flat files (Artforum Berlijn, D, 2006), Lokale (Schwerin, D, 2005). For the Frans Masereel Centrum she programmed and developed projects like DOCUPRESS Anne-Mie Van Kerckhoven, Jan Kempenaers, Gowara Minsa, the exhibitions Exhibition Copy and More (MORE Publishers), E IL TOPO (2014), iN KASTERLEE (2012), PRINT ART FAIR 2012-2013-2014, Show your Colour (Dutch Design Week Eindhoven NL, 2012) and the performative exhibition with Z33 “All the knives, any printed story on request” (Åbäke, curator). She’s a founding member of the Foundation ‘Workspaces Nederland en Vlaanderen’ and is a board member for 0090 (www.0090.be).